Anonymous, 18 Aug 2013Hello What Should it be xperia z ,note 2 or something else ?Note 2 easily cracks...I had it n dropped it once frm a couch n the screen cracked. 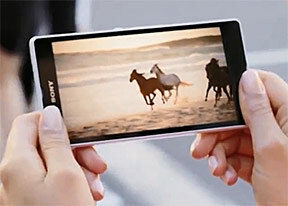 For Xperia z,I was impressed wth the screen. Other things remain yo preference coz they r both gud. My Xperia z has suddenly started draining so quick,even on standby it still reduces in battery percentage. A few days ago it was xtremly gud.I hv tried changing battery saving settings but it's still worrying me.I need help. I plane to buy this mobile anyone can tell about this mobile . . . .? Anonymous, 06 Jun 2013can you have social networks like whatsapp on the experia z?im determined to get it,just need ... moreYes it will. The touch screen will shatter or crack and the replacement cost is very expensive. Please take note. What Should it be xperia z ,note 2 or something else ? But overall u will love it... Go for it guys..